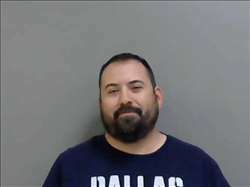 Detective Don Avery has pleaded not guilty to domestic violence assault on his former wife on Father's Day 2017, and the judge has ruled that previous uncharged allegations are not admissible at trial in May. SKOWHEGAN – Jury selection in the domestic violence assault case against a Skowhegan police detective is set to begin April 16 in Somerset County Superior Court. Detective Sgt. Don E. Avery, of the Skowhegan Police Department, is charged with a single count of domestic violence assault, a charge that by state law could bar him from possessing a firearm if he is convicted and prevent him from performing his duties as a police officer. Avery, then 36, was arrested Sept. 6 and booked at the Somerset County Jail after having turned himself in. He later was released on personal recognizance bail, which is a written promise signed by the defendant to show up for future court appearances and not engage in illegal activity while on release. His lawyer entered a not guilty plea on his behalf by mail in September 2018. The charge is a class D misdemeanor, punishable with a conviction by up to a year in jail. Tentative trial dates of May 15-16 were set in chambers Monday with Justice Robert Mullen and Avery’s attorney, John Richardson, of the law firm Moncure and Barnicle, of Topsham. Justice Mullen also granted a motion, without objection from the district attorney’s office, to exclude allegedly similar, uncharged behavior on the part of Avery in the months leading up to the alleged Father’s Day 2017 incident. During the discovery process of gathering evidence in the case, it was alleged that Avery had similar violent outbursts in February 2017, twice in March of that year, once in April and reportedly as reflected in undated photos of damage to car of the person identified as the victim. The discovery documents also refer to protection-from-abuse orders stemming from an incident around Dec. 20, 2017, resulting in mutual allegations of abuse between Avery and the victim in the charging document. The Morning Sentinel does not publish the names of victims of domestic violence without their permission. The judge agreed that state prosecutors might want to use testimony from some of those previous reports, but ruled against it because the reports did not result in charges, are not part of the current case against Avery and could reflect unfairly on Avery’s character. According to court documents in Skowhegan, Avery, who now lives in North Anson, is charged with intentionally, knowingly or recklessly causing bodily injury or offensive physical contact to his ex-wife in June 2017 in Madison. An investigator with the attorney general’s office conducted several interviews, as did an official with the Maine State Police. Friends and family members told investigators that physical and verbal abuse had been ongoing. The case file is many pages long. The ex-wife, whose identity the Morning Sentinel is not publishing because she is the victim of alleged domestic violence, told investigators that she had been assaulted in February, March and April 2017 and finally on or about Father’s Day last year, when a family member reported seeing Avery push the woman to the floor, where she was punched with a closed fist, according to the court documents. She was crying and bleeding from the head, according to the document. Initial arguments between Avery and his ex-wife appear to have culminated in a separation in 2016 and later with disagreements over financial issues, in which the woman allegedly called Avery a “deadbeat dad.” Disagreements appeared to have escalated to a point that each party had obtained a protection order against the other. The couple divorced in January 2018. “This case stems from a contentious divorce which (more than a year ago) included false claims of domestic violence that were dismissed at the time of the final divorce hearing. Police Officers are easy targets for these types of charges and for some unknown reason these claims have surfaced again,” Richardson, Avery’s attorney, said in an email in September 2018. The woman said she did not report the alleged initial assaults because she was scared and feared that police investigators would take her husband’s side of the story. Skowhegan police Chief David Bucknam said no one is above the law and that investigators would not take sides on such a case. Avery was hired in March 2016. His current annual salary is $51,667, according to Bucknam. As for the future of Avery’s job as a police officer or the possibility of him arriving at a plea agreement that would reduce the charge and allow him to continue to use a firearm, District Attorney Maeghan Maloney said she would not speculate. Bucknam did not return a request for a comment Tuesday on Avery’s employment status.